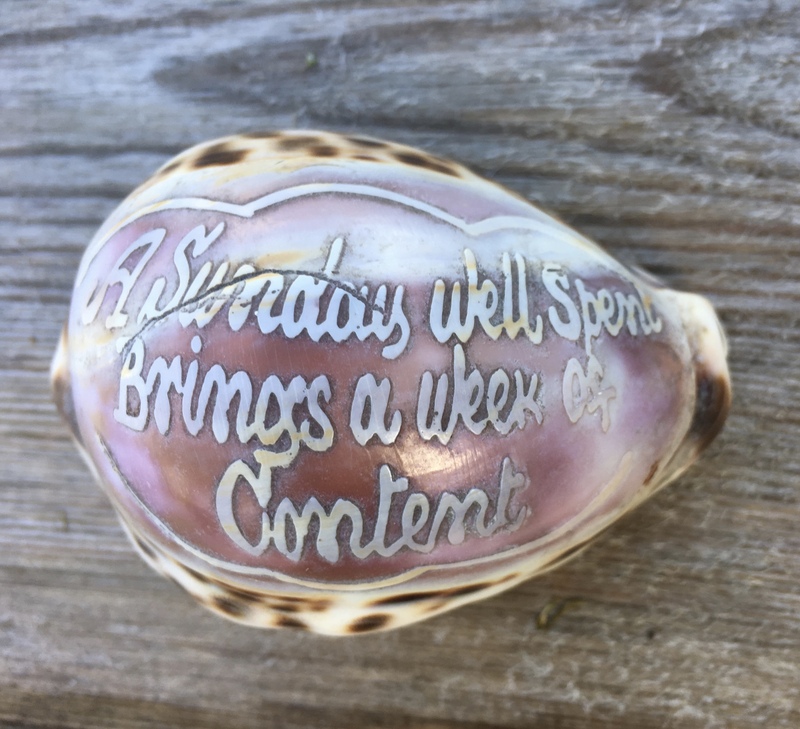 I found two Victorian carved shells in a junk shop on my trip to the beach this week. If you have a niggle in your back, a wee ache, what do you do? Ignore it? Complain? Take a painkiller? 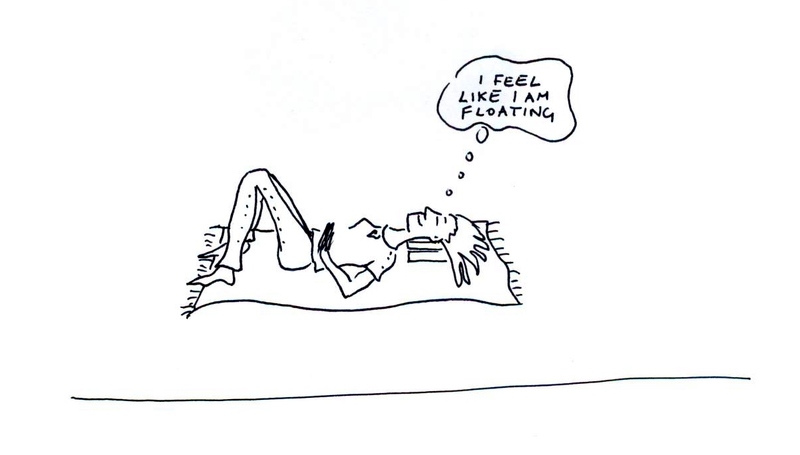 And lie in semi supine! And helps you feel fine! 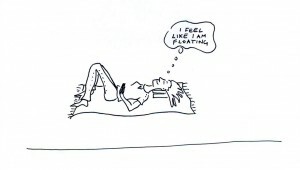 Lie down now, before your ache gets worse! Let your mind travel around your body, particularly the achy bit, like a fine seamstress, stitching yourself back with your thoughts into a wearable, functional whole – a mobile muscly body suit! I always paint better when my back is free! 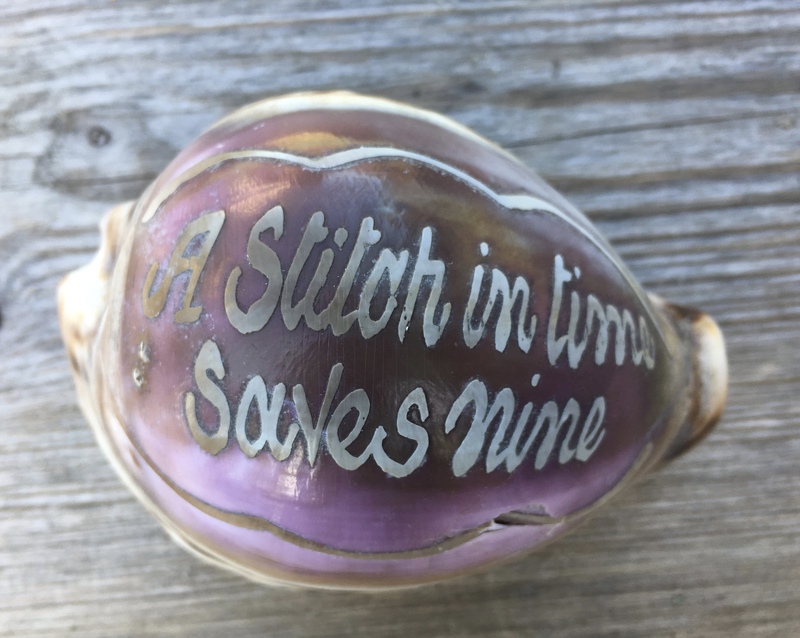 A stitch in time saves nine – time for semi supine! My media download, Body Magic is but a Click away … here! ‘She sells sea shells on the sea shore!’ – That tongue twister reminds me of my granny too!